Mystery symbol….all will be revealed! 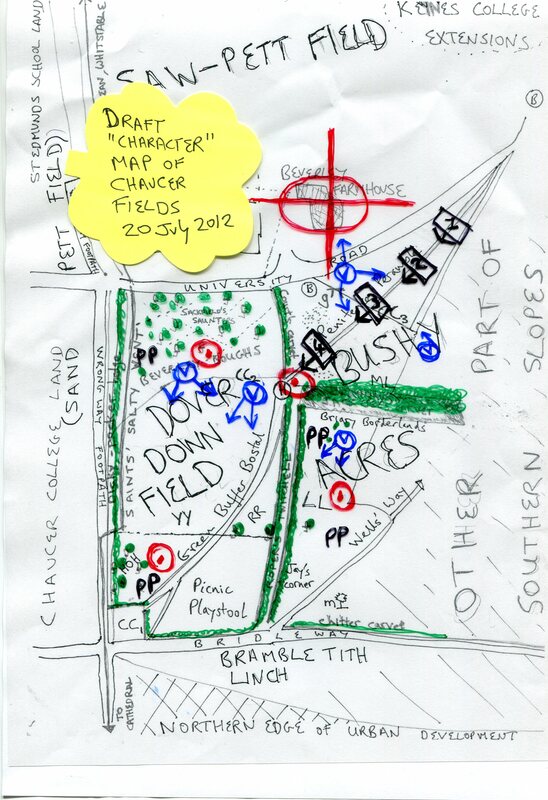 What’s that strange symbol hovering over the map of chaucer fields, you may ask? I’ll come on to that towards the end of the Blog, as I need to set the scene first…. and for people who haven’t had a chance to get up to the Southern Slopes recently, I’ve managed to take some snaps to capture how nature has changed, moving from early into mid summer, although I haven’t had as much time as I would have liked there. I’ll intersperse these with the text to make it more interesting. 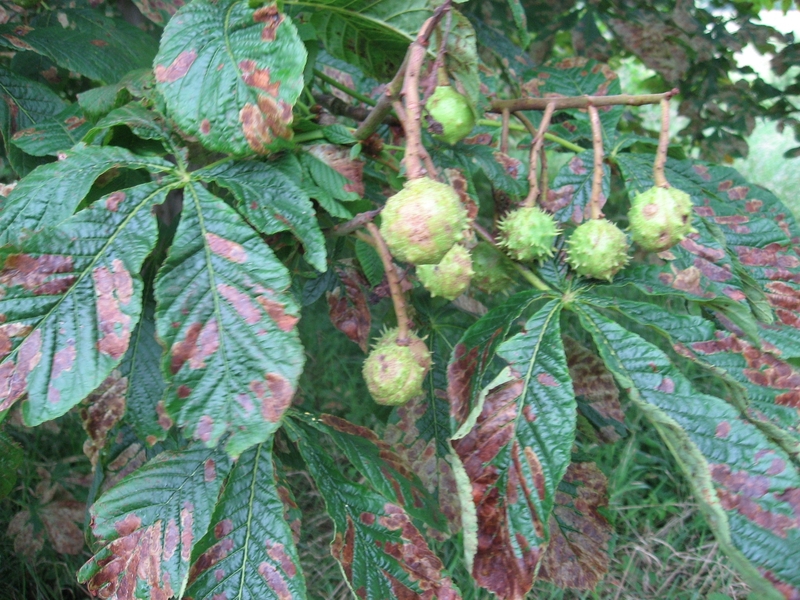 Its not just nature which is changing. At this time of year, the pattern of use by younger users is about to change. As schools wind down, instead of the familiar sight of the Archbishop’s School pupils running around freely (both off and on the beaten tracks!) 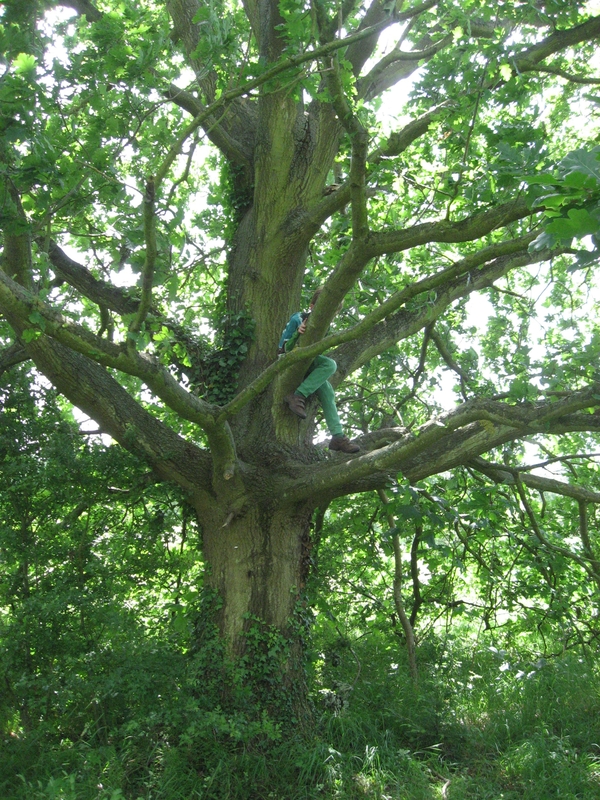 it will be local children of all ages on holiday who will often be seen out and about, safely playing amongst the trees and meadows. 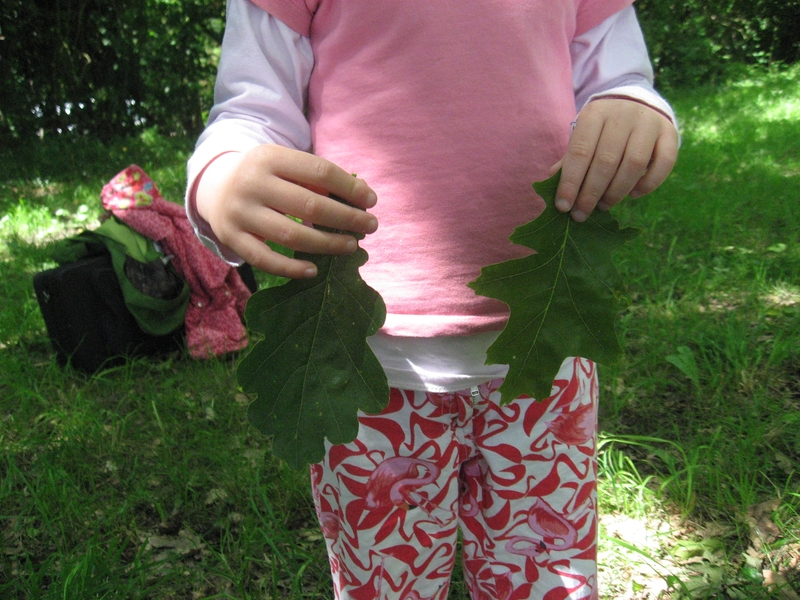 There are fewer University students around, and the number of children at the Oaks – whose relishing of the fields I mentioned in an earlier Blog (and see new photo above) – is falling back too, as staff take summer breaks. This Blog has been a while coming. The main reason I haven’t had much chance to witness happenings on the fields recently is that I’ve been away – lucky enough to have been participating in a research conference in (very hot) Siena. I think my time there may be a new perspective to be gained from this visit. Siena’s a wonderful and intriguing place, where they certainly know how to respect and showcase their rich history, especially its medieval aspects. I was struck by the parallels with Canterbury: fascinating heritage, a phenomenal Cathedral, the more general importance of tourism and higher education, a vibrant civil society, and great pride in the countryside that immediately surrounds the city, and helps to define it (and with art of all kinds often seeking to portray this as fundamental to the essence of the place). Its impressive the way they have avoided sprawl in order to respect their traditional setting, a fragile balance of man and nature. Like us, they recognise the significance of a contoured semi-natural landscape for people’s quality of life. Crucially, this is neither just in terms of urban parks, nor the woodlands and fields out in open country – which are of course so precious but can be hard to reach, especially for younger and older people, or others whose mobility is limited. Equally, they understand that the land between urban and rural, city and countryside, is fundamental. Accordingly there is particular appreciation of the value of the unspoilt slopes immediately surrounding the city, visible from within, easy to reach by foot or bicycle, and without which a great deal of the place’s appeal, charm and value would be lost. Perhaps more dramatic than our gentle southern slopes, but the basic idea of harmonious co-existence is comparable. I think we can already move considerably in this direction, building on some of the Council’s best policies, and encouraging them to strengthen those as we move towards a new District Plan in the months ahead. 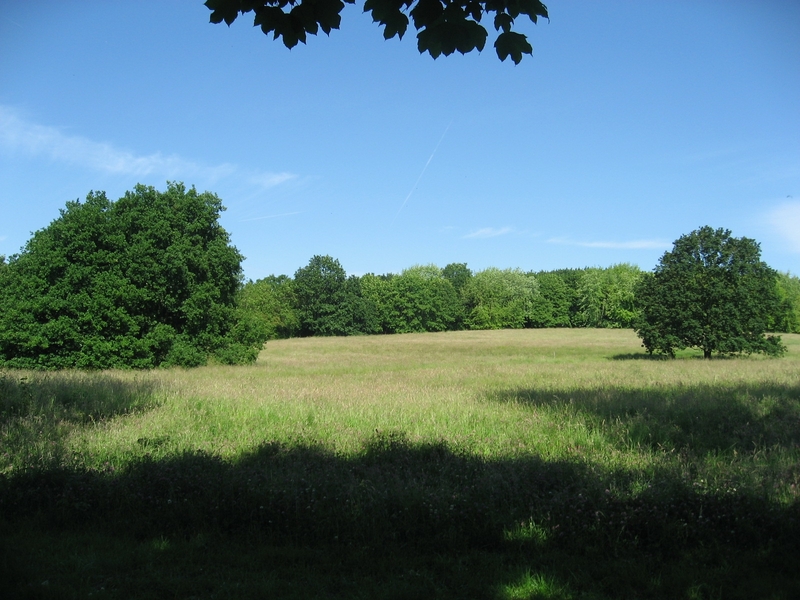 Let’s hope those developing the new Plan will be bold enough to consider formalising the ‘Green Belt’ status of the Southern Slopes, including Chaucer Fields – a no brainer for the overwhelming majority of local people. 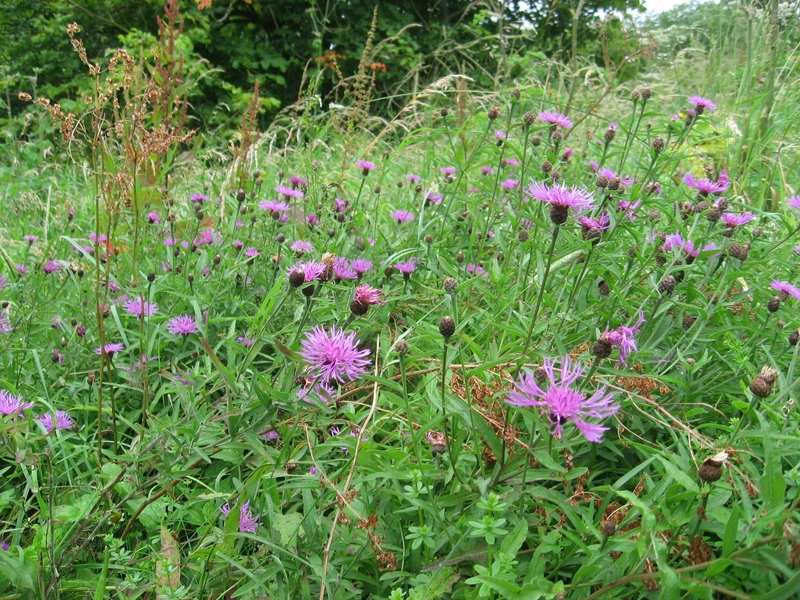 There has been some talk of the potential value of the ‘Local Green Space’ concept (see National Policy Planning Framework, p. 18), but we would surely be wise to be cautious about this, as it seems to afford weaker protections than ‘Green Belt’ status. In the meantime, the old District Plan and its supporting materials still apply. Consider the fields in this context. Given the furore over the proposed destruction of this place, many of us have become more familiar than we ever expected to be with policies on open space, landscape, heritage and conservation. Drawing those threads together, and putting this in the context of how the land has been used for the views, for amenity, relaxation, appreciation of nature and recreational purposes over decades, we have all seen that a powerful case can be made for defending the fields as unspoilt community space. 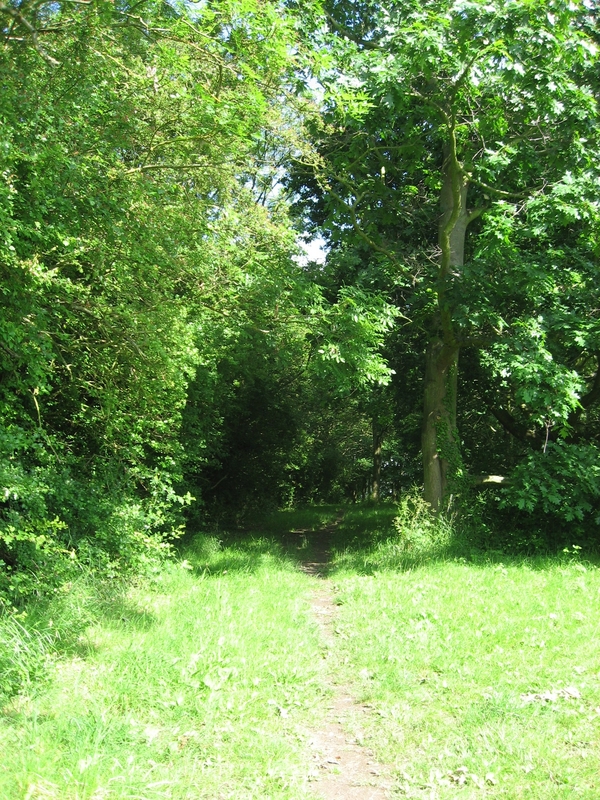 But if you look more closely at some of the detailed,qualitative judgements used by the Council to attach value to places of interest and local significance, it starts to become clear that the fields could and should be actively enhanced, rather than just left alone, in the interests of the enormous range of people who appreciate them. The case for not only treasuring them, but proactively nurturing them, becomes utterly compelling. 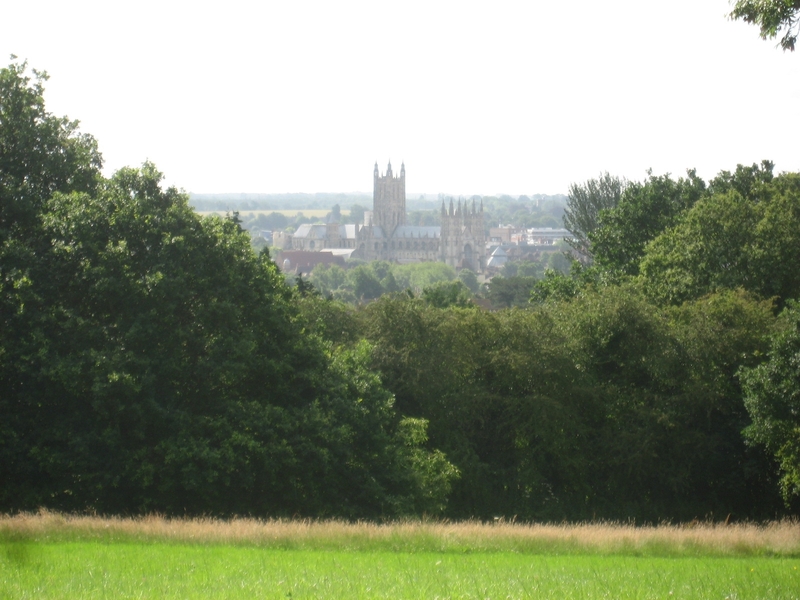 Take the “Canterbury Conservation Area Appraisal” adopted in 2010 to support the District Plan on matters of conservation and heritage. How is it relevant? 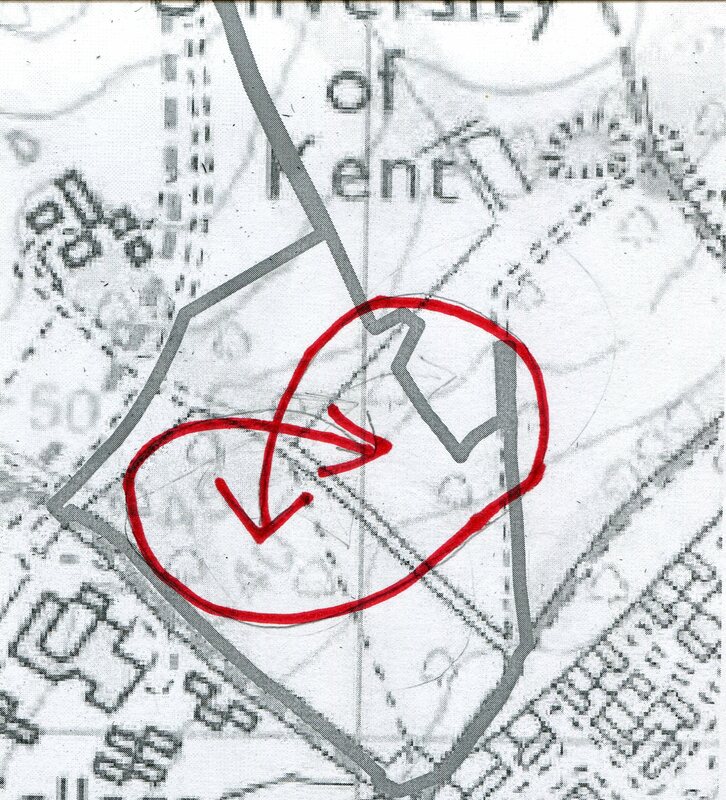 As you can see if you follow the link, quite rightly, it singles out (p. 13) the view over the Southern Slopes, including Chaucer Fields as one of just nine views given special status across the entire city. Note what it says about this view (p. 33): “Development in the foreground would adversely affect views of and from the city” (a statement actually confirmed by the University, but buried deep in the Environmental Impact Assessment, despite the scheme’s promoter’s subsequent attempts to spin away this awkward fact in summaries and presentations). The Appraisal then says that “the trees in the middle ground on the university slopes should be managed so they do not block the view of the Cathedral” and notes “the Cathedral dominates the roofscape of the city in this view”. 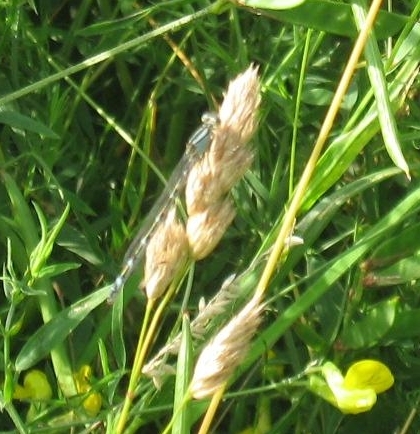 From passivity to an active policy enhancement of unspoilt Chaucer Fields? Thus, if anything, the University is meant to be developing the ancient field mosiac of the fields, and enhancing the openess of the slopes – rather than destroying these aspects. 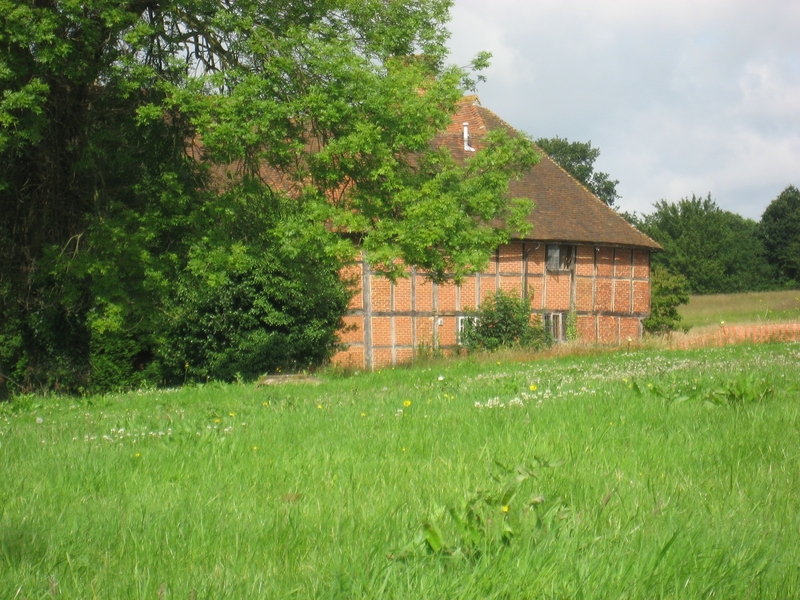 (When the Planning Application was submitted, the Council’s internal responses as well as external responses like those of English Heritage and Kent CPRE were amongst the many pointing out this potential policy violation). Second, we can seek insights into Council thinking about why places are valued by looking at the criteria used to signify the ‘character’ of places inside and around the city. This is where the strange symbol shown at the top of the Blog comes in! The ‘key’ shown below is now used throughout the Canterbury Conservation Area Appraisal to summarise the ‘character’ of 20 Canterbury places (for example, being applied to St Dunstans, Nunnery Fields, Cathedral Precincts etc). So, no one who has followed the debate on this land could now seriously contest its special status. The Canterbury Archeological Trust research undertaken for the University’s own Environmental Impact Assessment (chapter on cultural heritage) already strongly affirmed this from a historical perspective, and mountains of correspondence since have re-affirmed how this sentiment is now felt more strongly than ever. What about the other qualities associated by the Council with ‘character’? I’ve even had a go at applying these criteria myself to the Heritage map drafted in an earlier Blog see below. Perhaps readers could let me know if they think I am missing any aspects of the value of the fields which can be summarised using these indicators. At least, this could be a useful start it trying to encapsulate in official language what people truly value. With this in mind, we should urge the Council on our behalf to put pressure on the University to up its game, and recognise the relevance of these considerations. It could obviously make a start by shelving the misguided Chaucer Fields development proposals; but then it should go beyond its lack of current management of this land to actively embrace and enhance the place as an unspoilt resource (At the moment, it simply cuts the grass, and just one of the hedges, occasionally). Most obviously, it should be encouraged to respect existing local policies, and learn from others. revive and extend the 2008-09 ‘creative campus’ wildflower initiative on the fields at Jay’s corner, cruelly abandoned by University authorities (see http://www.kent.ac.uk/news/stories/wildflower/2009). 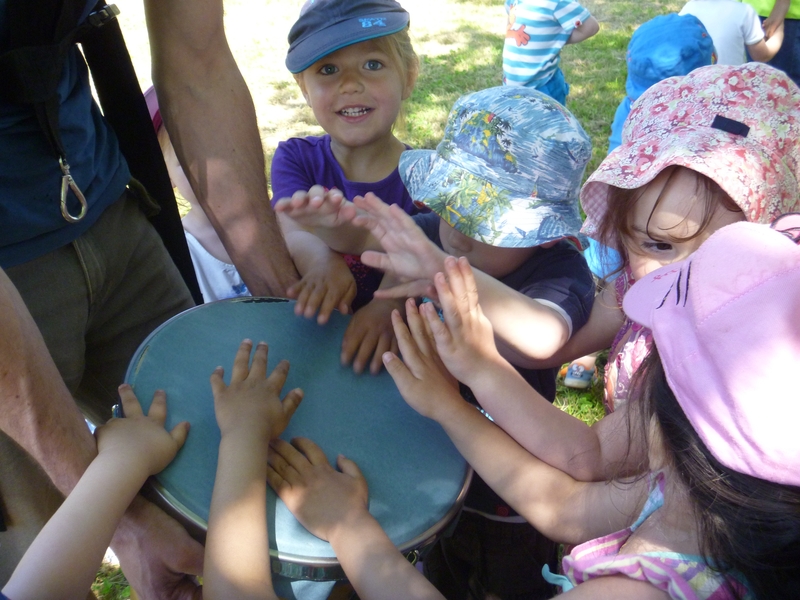 Why not make it an authentic outreach activity this time round, bringing together the University’s Conservation Society for whom it was so important last time, with local schools and local residents of all ages in a new spirit of co-operative respect for our heritage and environment? That’s all from me for now, I am sure as usual I have said too much already! You can look forward to some ‘Guest Blogs’ on this site in the weeks ahead, and a change of style…. so watch this space! 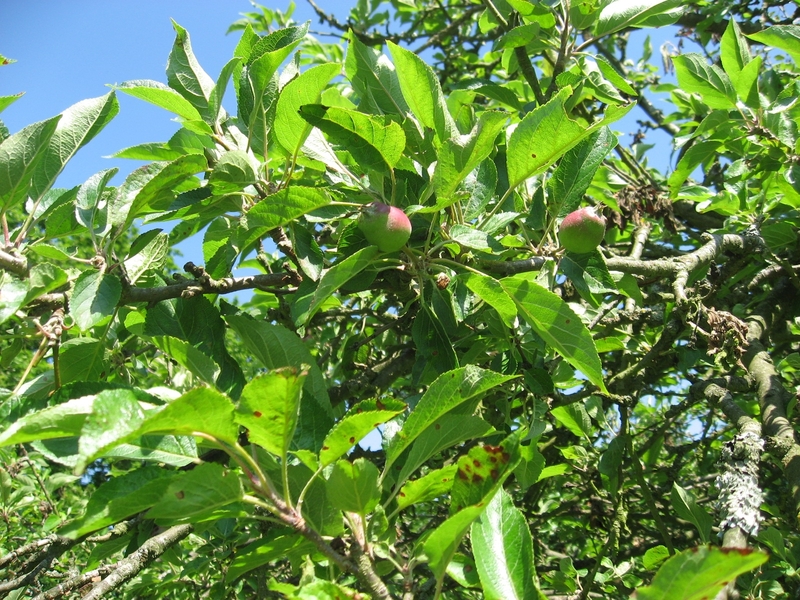 PS if you have somehow missed the Save Chaucer Fields June newsletter summary circulated in hard copy and uploaded on to the web, please go to the SCF website (see Blogroll, top right hand corner of this Blog). Its a very useful and informative summary of the state of play. This entry was posted in Uncategorized and tagged Bushy Acres, damsel, dark skies, Dover down field, Heritage, Jay's corner, Southern Slopes, star gazing, Tree climb by Chaucer Fields Picnic Society. Bookmark the permalink.